We have a conversation with Neopagan author and tradition elder Ivo Dominguez, Jr. about his work in growing his tradition, living through the Neopagan boom of the 80s and 90s, and the New Alexandrian Library project. Our guest has several books worth checking out, including Spirit Speak, Practical Astrology for Witches and Pagans, and Keys to Perception. You can find out more about his work at his website as well. We also reference an ongoing conversation on the history (or pseudo-history) of contemporary Neopaganism in posts such as those by forest witch Sarah Anne Lawless, Patheos blogger Mat Auryn, and anthropologist Amy Hale. As we mention, this episode’s interview was recorded well before this conversation was going, but the chat with Ivo may relate to some of those discussions. Title and closing music is “Homebound,” by Bluesboy Jag, and is used under license from Magnatune. Incidental music is “Sedativa II,” by DR, from the Free Music Archive. 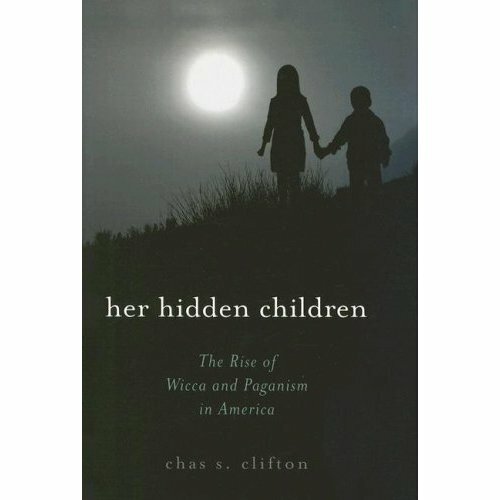 I’ve just finished reading Chas S. Clifton’s Her Hidden Children: The Rise of Wicca & Paganism in America this morning, and I thought that as his topics and my own intersect somewhat I might offer my take on his work. First of all, I only recently learned who Mr. Clifton was through another podcast, T. Thorne Coyle’s Elemental Castings. She was part of a panel discussion at the Florida Pagan Gathering in 2009, and Mr. Clifton was on that panel as well (other guests included Gavin and Yvonne Frost and Margot Adler). The entire discussion can be heard at Ms. Coyle’s website, here. What convinced me to read Clifton’s book was that in the panel, he spoke as an academic, but also a participant, and he did both with great skill. After reading his book, I am inclined to think that his personality on the podcast is very much the same personality he puts forth in his writing—albeit a bit homier and less formal when he is speaking than writing. He manages to provide a good, simple survey of the modern Pagan and Neo-Pagan movement in America, without resorting to overbold brush-strokes when he does so. He doesn’t take the Gardnerian history at purely face value, but he also doesn’t simply dismiss it out of hand. Rather, he takes the scholarly approach of examining the texts available and presenting the most reasonable conclusions he can based on those texts (or in some cases, media or personal correspondences). Like Ronald Hutton’s Triumph of the Moon (which I feel Clifton’s book is greatly informed by), this book is not trying to make any fanciful claims about Paganism’s place in America (he makes the point repeatedly that there’s not a census of religion in America which can present a reliable number of “earth-based religious practitioners” in the US—he instead cites an independent survey which ranges from the upper hundreds of thousands to the low millions). His examination of the various branches of Paganism in America is particularly noteworthy, as he gives short histories of each segment sourced not only from the branches themselves but from external documentation as well. I enjoyed learning about the various areas of American Paganism with which I was only marginally familiar: Feraferia and the Church of All Worlds (CAW), for example. I also learned a lot about branches I was completely ignorant of, such as the Church of Aphrodite (the first Pagan religious group recognized in America) and the Psychedelic Venus Church. Some of the better information in the book is about the interaction between various groups which may not always have been apparent. The Church of Aphrodite, for example, had a great deal of influence on Feraferia because of a shared member, and the influence of Robert Heinlein’s Stranger in a Strange Land on not only the CAW, but groups like the Psychedelic Venus Church. The book did leave me a little disappointed in some areas: Clifton relies heavily on certain sources, such as Margot Adler, and on some information which is not particularly accessible (such as the aforementioned personal correspondences). The largest drawback is that the work really only looks at the mid-to-late twentieth century in America with any great detail, other than to draw a few parallels between Transcendentalism and the modern Neo-Pagan movement. I would have been greatly interested in finding out what influence movements like Spiritualism and Theosophy had on the Occult revival in America, and what effect in turn that revival had on Wicca and Paganism later on. But I can also understand that the point of this book may not have been to dig back so far. The bibliography and footnotes alone make the book worth purchasing or borrowing from the library, and the work certainly doesn’t disappoint in its stated purpose of chronicling the rise of modern Paganism in America. In the end, while I wanted more, perhaps that is the best recommendation I can give. This book is great for whetting an appetite for more information on American witchcraft and Paganism, and it certainly can provide a springboard into other areas of discovery.